If you're wondering what a live-action take on "The Little Mermaid" by Sofia Coppola might look like (seriously, there's one in the works), Funny or Die is here to help. 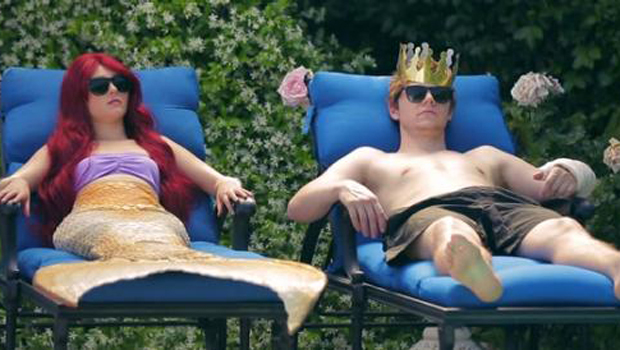 The site has posted a spot-on parody starring AnnaSophia Robb ("The Carrie Diaries") and Evan Peters ("American Horror Story") as angsty, hipster versions of Ariel and Prince Eric. There are references to Coppola films like "Lost in Translation," "The Bling Ring" and "Somewhere," and a soundtrack packed with indie bands, too. Coppola's version of the "The Little Mermaid" (the Hans Christian Andersen fairy tale, not Disney's animated version) is in the works for Universal Pictures, with Caroline Thompson ("Edward Scissorhands") reportedly working on the latest version of the script.